Special Operation Warrior Foundation provides immediate financial assistance to special operations personnel who are severely wounded in action or injured in training. Special Operators are deployed in over 80 countries every day. When a Special Operator is wounded and hospitalized, SOWF immediately sends a check to the service member (or his/her designated recipient) so the family and loved ones can be at their bedside. These funds are used to reduce the burden of unexpected expenses such as airfare, child care, pet care, rental cars, etc. 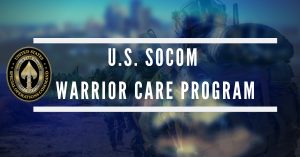 The USSOCOM Warrior Care Program (Care Coalition) was established to provide advocacy for wounded, ill, or injured special operations service members and their families. 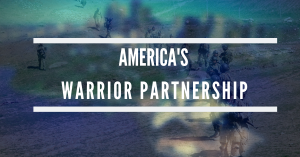 Contact America's Warrior Partnership for community outreach programs and warrior advocacy.